Richard Goode opens his 2016-2017 season in New York as soloist with Louis Langrée and the Mostly Mozart Festival Orchestra in a program to be filmed as part of a documentary celebrating the 50th Anniversary of one of the country’s most popular summer musical events. On the other side of the ocean, the American-born pianist will be featured in numerous European festivals including the prestigious Edinburgh Festival, in addition to appearances in London, Budapest, Madrid, Stockholm, Antwerp and Helsinki. A highlight will be concerts in Hungary and on tour in the U.S. with one of the world’s most admired orchestras and his recording partner, the Budapest Festival Orchestra and Ivan Fischer. Their recording of the five Beethoven Piano Concertos has won worldwide acclaim; Goode will perform Concertos No. 2 and No. 4 on the tour which includes performances in February 2017 at the New Jersey Performing Arts Center, Lincoln Center, and for the Chicago Symphony, the University Musical Society in Ann Arbor and Celebrity Series of Boston. Mr. Goode will also be heard in recital at Carnegie Hall and at major university and concert series throughout North America. An exclusive Nonesuch recording artist, Goode has made more than two dozen recordings over the years, ranging from solo and chamber works to lieder and concertos. 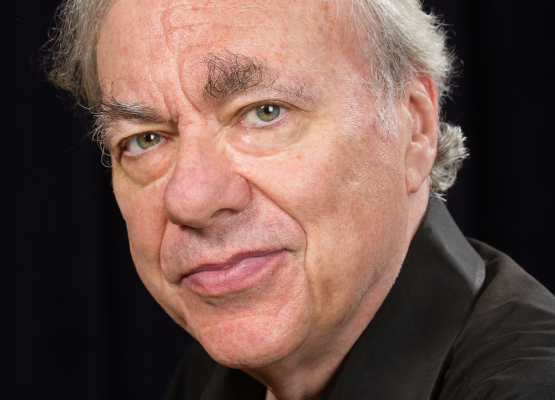 A native of New York, Richard Goode studied with Elvira Szigeti and Claude Frank, with Nadia Reisenberg at the Mannes College of Music, and with Rudolf Serkin at the Curtis Institute. Mr. Goode served, together with Mitsuko Uchida, as co-Artistic Director of the Marlboro Music School and Festival in Marlboro, Vermont from 1999 through 2013. He is married to the violinist Marcia Weinfeld, and, when the Goodes are not on tour, they and their collection of some 5,000 volumes live in New York City.